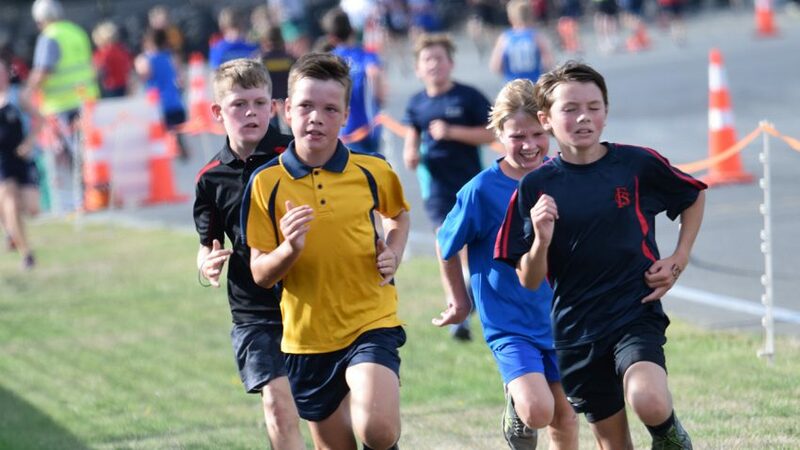 Nearly 1,200 year five and six students from throughout Canterbury participated in the Canterbury Duathlon held at, of all places, Ruapuna Raceway, last week. West Melton School promotions and sports administrator Rita Spadoni said her school had 16 entrants. For Lewi, it was his first time doing the duathlon, and it was a good experience representing West Melton School. “[I] quite liked the biking as you got to bike around the Ruapuna track, which you normally don’t do. I was at the front of the year five boys start and I could feel the weight of the boys behind me. When I finished, I felt awesome. I felt I had achieved something and was even better when I found out I came 16th out 165 boys”. Year five student Lily felt she did a good job as this was only her second time competing.